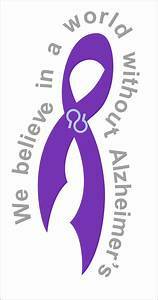 The doctor’s words resonated flat within the sparse conference room once they were spoken aloud: “The results confirm ALZHEIMER’S.” Pop was silent, holding my hand, staring off outside the window, and processing all we were rapidly being told. “Probably stage 4, moving into stage 5 and definitely beyond moderate at this point.” Alzheimer’s, this dreaded, debilitating disease we previously experienced, daily lived, and unfortunately understood too well with momma. While not shocking in light of everything we’ve experienced these past 18 months, the immediate sting of this label is potent. As we exited outside from this meeting, the color purple vibrantly surfaced in various ways–a poster of information, a sign of instructions, blossoming violets and phlox growing in the landscaped beds along the medical building. A regal jewel-toned color, purple often signifies enlightenment, transformation, royalty, power, creativity, wisdom, dignity, devotion, grandeur, pride, mystery, and independence. Purple is considered a rare occurrence in nature, symbolizing delicate, precious, and often sacred meanings (much like dad’s remaining memories and brain function). Herbalists and horticulturalists believe lavender, orchid, lilac, and violet flowers along with plum, thistle, pomegranate, eggplant, and grapes increase imagination, calm confrontation, and re-energize the learning of new things. How ironic is it the color purple also has come to symbolize hope and awareness for one of the longest family goodbyes in modern medical history? Today, however, as Pop and I walked around the medical facility path from another appointment, these plastic beauties caught us off guard with their collective colors, fluttering leaves, and powerful messages written on petals gently swirling in the pre-rain breeze. 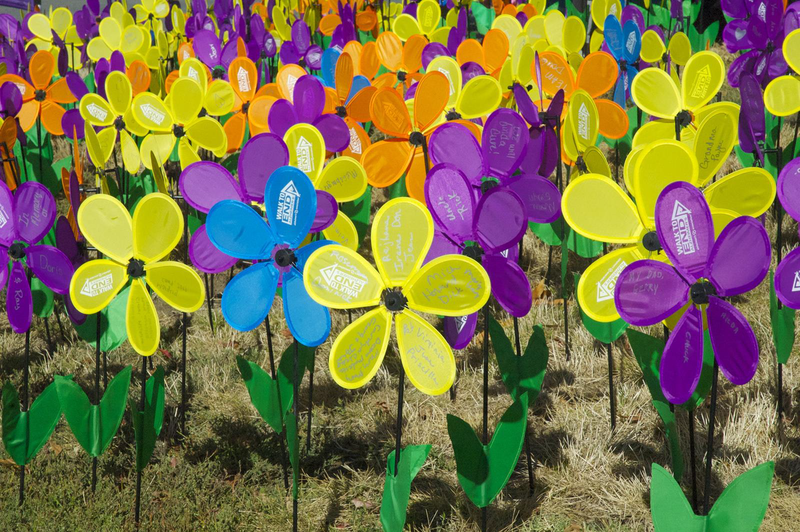 We stopped in awe to read the names, sentiments, and messages of hope, silently wondering where and how hope will emerge in the stark reality of Alzheimer’s disease. Thankfully, even in our darkest moments, someone gratefully steps in to turn on the lights for us; today, ironically, it was daddy himself. He announced in that particular moment he wanted to plant a purple garden. So, yes, we’re planting a purple garden together in the next week…a place where nature, our existing imagination, and precious memories can grow even as they dim inside dad’s mind. Somehow, daddy finds hope in growing something purple and knowing our time is limited, so we need not waste it. Somehow, daddy finds hope in taking life day-by-day and being grateful for the little things, like a purple garden in our yard. Somehow, daddy finds hope in talking, reflecting, sharing, and laughing as daily priorities. And somehow, daddy finds hope in profoundly reminding me, “A secret in life is letting every situation be what it is instead of what you think it should be. Take what you’re handed with grace and dignity and move on; let’s just make the best of this thing.” Consider it done, daddy…and here’s to coloring our hope in a glorious garden of purple.